Easter Sunday marks the unofficial start to spring. It’s also a celebration of renewal and rebirth experienced through religious services and a range of family traditions such as parades, photos with the Easter Bunny, brunch, Easter egg hunts and more. When it comes to Easter fashion, pastels reign supreme, but color isn’t just for women; preppy men’s Easter fashion abounds with pastels and other bright spring colors, as well as prints and fabrics such as argyle, plaid and seersucker. Preppy fashion for men has become even more fun, bright and playful over the years as preppy clothing brands have proliferated and evolved. 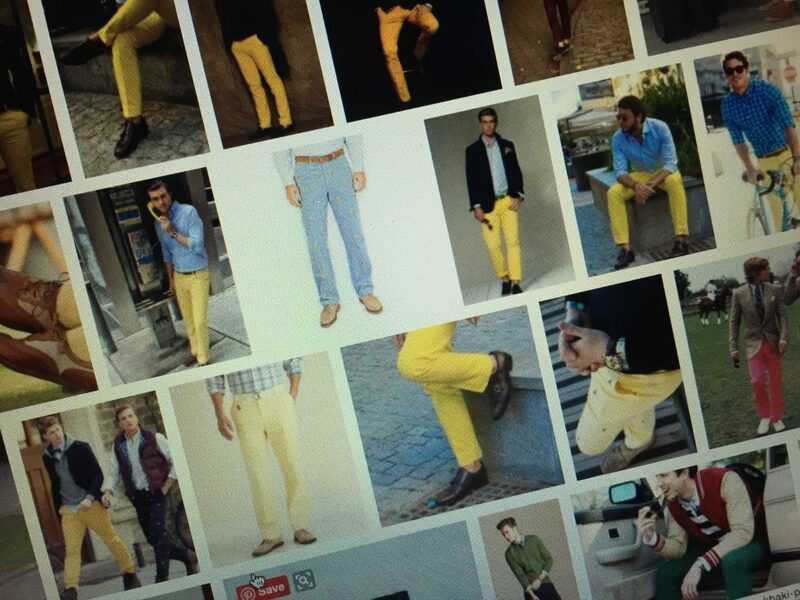 So, men, sport those yellow pants, wear plaid with stripes, and say “yes” to embroidery and needlepoint. Men’s accessories have also gone well beyond traditional with bold socks, dress shoes with colored soles, patterned pocket squares and statement belts. And when it comes to statement belts, Brewster Belt Company has you covered with a huge selection of needlepoint belts for all occasions like this Easter egg and bunny needlepoint belt. 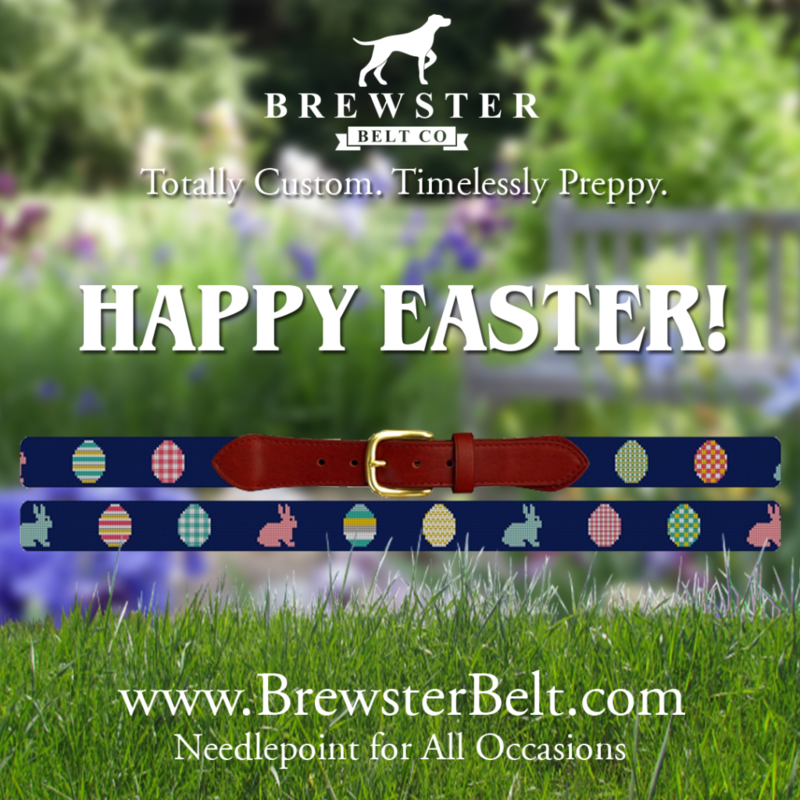 Browse Brewster Belt’s designs or create your own custom needlepoint belt design for Easter or any other holiday or occasion. All belts can be customized with different thread colors, leather colors and metal buckle types. A monogram can also be added for full personalization. If you’re looking for a needlepoint belt that can be worn on more occasions that just Easter, check out our preppy needlepoint belt designs or create your own custom design. Even if your Easter celebration doesn’t call for a bow tie, show your love for this unique and preppy style with a Bow Tie Needlepoint Belt. These bow ties are appropriate for any occasion….and much easier to tie. Choose bright colored bowties or pastels and even add a monogram for a fully custom look. Despite the name, Brewster Belt Company also offers needlepoint wallets, dog collars and flasks. Browse the all designs and needlepoint products at BrewsterBelt.com.